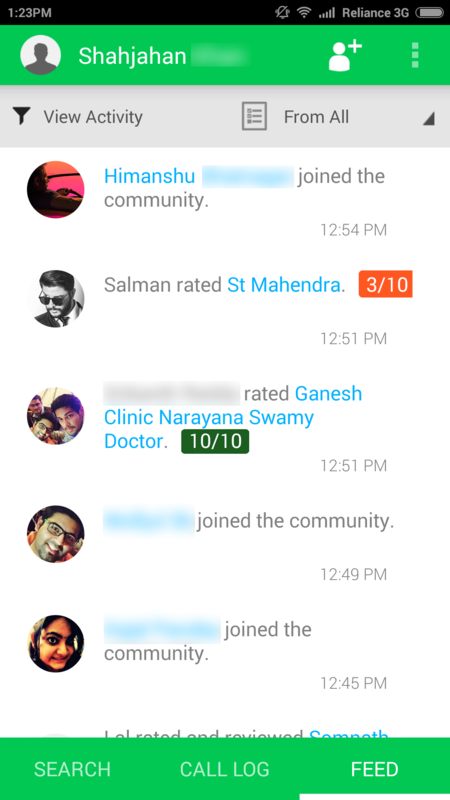 features that are hard to miss. This 2.0 channel multimedia speaker has been designed for music and movie enthusiasts looking for that edge of innovation. It is also housed in full wooden enclosure designed for a bass-heavy immersive music experience and has a high-gloss finish that complements your décor and adds style to any room. Its three-way acoustic design (2-inch treble, 3– inch mid speaker with 6 inch sub-woofer) and 25W x 2 output, helps to fill your room with a clear, powerful sound and give you a bombastic time. Not to forget, its bright LED display and a fully functional remote control add to the user’s ease of function. Lenovo announced the appointment of Rahul Agarwal as the Managing Director for Lenovo India, effective June 29, 2015. Rahul takes over from Amar Babu, who will now take on a regional mandate as COO, Lenovo, Asia Pacific and Chairman, Lenovo India. Rahul Agarwal takes charge at a time, when Lenovo is gearing up for its next phase of growth, diversifying beyond PCs into the smart connected devices while maintaining a strong PC focus. The company is transforming into a global consumer technology brand differentiating itself on innovation and design. India plays a key role in this transformation and therefore is an extremely critical market for the company. Rahul’s extensive and multi-functional experience will help in India’s continued growth and increased contribution to Lenovo’s global success. Rahul, over the last 3 years, has led the Commercial Business successfully and steered its tremendous growth which significantly contributed to Lenovo India’s overall success. During the last 10 years at Lenovo, Rahul managed many roles in sales and marketing and has contributed significantly in growing the brand in the country. With the integration of Motorola Mobility and IBM x86 business being complete, Lenovo will have the scale and efficiency to operate more effectively in this highly-competitive and dynamic market as an end-to-end devices player. Lenovo’s recent launch of a whole range of enterprise and consumer devices in the region shows the company is poised to make India a growth engine in the enterprise and consumer technology market. AXL has launched its one of a kind 10000mAh power bank LPB110 in the market that runs on Li-polymer cells and has double the charge-cycle of an ordinary power bank. The power bank weighs just 235 grams and comes in red, white and black colors. The LPB110 also has a fire-resistant body, as a safety feature, and LED indicator for ease of use. It can charge two devices simultaneously, even when the power bank is charging itself, with 2.1A of maximum output for faster charging. The Indian software market registered a stable year-on-year growth of 10 percent in the second half of 2014 owing to the steady double-digit growth of top vendors, according to the International Data Corporation (IDC). “The Indian software market registered a stable year on year growth of 10 percent. However, the market is expected to gain a steady momentum starting 2016 and beyond as deals would have closures and implementation would start,” IDC said on Thursday. It stated that some of the reasons for the stable growth include a steady double digit growth for the top vendors such as SAP, Microsoft, Oracle and the likes. The Indian IT Software market is segregated into three primary markets which include Application Development Deployment (AD&D), Applications and System Infrastructure Software (SIS). The total AD&D market grew by 9.5 percent year-on-year while applications market pegged a growth of 10.8 percent year-on-year and SIS market grew by 8.5 percent during the second half of calendar year 2014. Some of the secondary markets that registered a strong growth during the review period include application platforms, content, operations & manufacturing applications and integration & orchestration middleware among others. “Some of the larger software vendors restructured their organization in line with the emerging technologies and re-aligned their strategies to capture the mindshare in the growth markets such as SMB, cloud, analytics and mobility. This has worked quite well for them and they have managed to grow inspite of the uncertainty in the market,” Shweta Baidya, senior market analyst of software, IDC India said. It stated that Microsoft, Oracle, SAP, IBM, and Synopsys retained their dominant position in the market collectively cornering more than 60 percent of the total share. IDC expects the software market to grow at a healthy pace in the next five years (2015-2019) with a compound annual growth rate (CAGR) of 10.6 percent. Some of the software categories that will trigger the uptake include mobile applications, in-memory analytics, database security and privacy, open source applications, DLP, encryption, application security among others. TP-LINK, a global provider of networking products, announcedtheir latest 150Mbps router in India, the TL-WR720N 150MbpsWireless N Router. The TL-WR720N is a simple and secure way to share your high-speed Internet connection at Wireless-N speeds for surfing the Internet, email or online chat. Users can enjoy a high quality experience when video streaming, using VoIP, or gaming online wirelessly, not previously practical with 11g devices. The TL-WR720N 150Mbps Wireless N Router provides up to 150Mbps wireless connection with other 802.11n wireless clients. The incredible speed makes it ideal for handling multiple data streams at the same time, which ensures your network stable and smooth. The performance of this 802.11n wireless Router will give you the unexpected networking experience at speed 650% faster than 802.11g. It is also compatible with all IEEE 802.11g and IEEE 802.11b products. TP-LINK’s TL-WR720N is a high speed solution that is compatible with IEEE 802.11b/g/n. Based on 802.11n technology, TL-WR720N gives users wireless performance at up to 150Mbps, 9X the speed and 4x the range of traditional 11g products. Enjoy N Power at a G Price! TL-WR720N supports up to 4 SSIDs. Yes you heard it right 4! It’s uniquely designed for users to set up additional wireless networks with additional SSIDs and Passwords for guests or friends. This ensures users are safe and there are no performance conflicts with different networks. Clear Channel Assessment (CCA) Technology automatically avoids channel conflicts using its clear channel selection feature and fully realizes the advantages of channel binding, greatly enhancing wireless performance. With the TL-WR720N even novice users can setup their networks. No more confusion on how to set-up your router for the first timer. The device comes with a CD featuring an Easy Setup Assistant that leads users through the setup process step-by-step, and even helps with wireless network settings and security configurations. A 3D printing-inspired machine named Ripple Maker can now print your selfie on your latte in just ten seconds. Sounds interesting, isn’t it? The gadget apparently makes use of the 3D and inkjet printing to print a customized picture or other designs on the foam of a cup of coffee. Interestingly, it can also write text messages on the beverage. The gadget reportedly gets connected to a website or an application, through which customers are able to decide their preferred design from a preloaded library. Customers can also download an app to send their own photos to it. Incidentally, it makes use of coffee extract stored in so-called Ripple Pods to recreate them on top of the drink. While the device comes for USD 999, its monthly subscription is priced at USD 75. The product is expected to woo coffee lovers as well as the coffee chains, big brands and individual coffee stores. If reports are to be believed, German airline Lufthansa has already joined hands with Ripple Maker to introduce the latte printer in their first class and business class lounges. In some good news for the Internet-savvy, Delhi’s colleges, including ones under Delhi University, and villages will avail free Wi-Fi facility by the end of this year. In its maiden budget, the AAP government has set aside Rs. 50 crores for the free Wi-Fi project to be executed in colleges and around 300 villages of the national capital in the first phase. “As per plan, we will complete the first phase of free public Wi-Fi by the end of this year but I expect to complete it much before the schedule. Government websites will be free and limited access of other contents will be provided,” Deputy Chief Minister Manish Sisodia told PTI. All government websites can be accessed anytime through this service. “We are trying to set a limit for browsing for personal and entertainment content,” Sisodia also said. The Information Technology department of the AAP government is in the process of setting up hotspots in the first phase of implementation. Officials said they have also studied the existing system in cities like Stockholm, Barcelona, Shanghai and Singapore, adding that the AAP government intends to set up 50,000 to 80,000 hotspots across the capital to complete the project. “There are various revenue models in the project and the government is contemplating on these. Government is committed to provide best Wi-Fi service to the people of Delhi,” Sisodia, who is also the Finance Minister, said. In the run-up to the Delhi Assembly polls, the Aam Aadmi Party had promised to make Wi-Fi freely available in public spaces across Delhi. Users of Google’s Cloud Platform services now have a convenient place to stash all the source code powering their cloud-based applicationsThe Google Cloud Source Repositories, quietly released in beta this month, provides up to 500MB of space to store source code for projects running on the Google App Engine or the Google Compute Engine. While there is no shortage of online code repositories, with GitHub and BitBucket being among the two most popular services, Google’s built-in repository could save developers a few steps when uploading, debugging and running an application on the company’s cloud services. 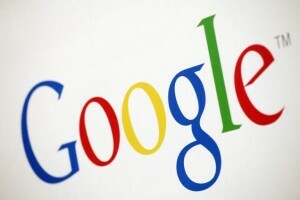 The service sounds similar to Google Code, which Google is discontinuing next January. The Google Cloud Source Repositories, however, isn’t designed to be a general use repository, as was Google Code. 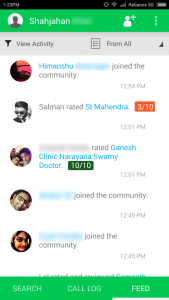 Rather, its purpose is to streamline workflow for Google Cloud Platform users. 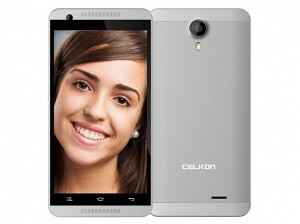 Celkon launched selfie smartphone, Millennia ME Q54+, for Rs 5,399. The handset will be launched in a live show on HomeShop18 and three lucky customers who buy it during the live show will get a chance to watch the Indian Cricket team play live in Sri Lanka in August this year. To add to the thrill, the winners will get a rare opportunity to click a selfie with the Indian cricket team with their new phone. Not only that, the lucky winners will also get a Celkon phone free with every purchase, making it a ‘Buy One Get One Free’ offer. The Celkon Millennia ME Q54 is a part of the existing Millennia series. Touted as the “selfie phone,” the smartphone sports a 5-megapixel front shooter. It packs a 5-inch FWVGA screen and is powered by a 1.2 GHz quad-core processor. The smartphone runs on Android 4.4 aka Android KitKat operating system. Along with the 5MP front camera, it has a similar rear camera with LED flash as well. The dual SIM smartphone comes with 3G connectivity. Japanese electronics major Sony is “seriously” looking at participating in the government’s ‘Make in India’ initiative and is considering setting up a manufacturing plant in the country.“Of course, thanks to Modi’s strong initiatives, somehow we have to cope with the country’s direction and strategy. We are in talks as to how we can support country’s direction. At this point of time, we do not have any specific comment. We are seriously studying as how can we reply to PM’s requirements,” Sony India Managing Director Kenichiro Hibi said when asked if the company is planning to set up a manufacturing plant in the country. However, he declined to share any information on time frame and investment in the new unit. When asked whether it can happen in next two years, he said: “Definitely yes, we would have to make something in such a time span. ”At this moment, “we do not have any specific comment on it. But yes it is and we are thinking it very seriously,” he told PTI.Sony had closed its manufacturing facility in 2004 and now imports its products from China, Malaysia, Thailand, and Japan. Besides, Sony is also aiming a 20 percent growth in sales in the current fiscal and expects a good contribution to come from non-metro places. “Up to last fiscal (FY 2014-15), we were having 20 percent overall growth. This fiscal it is also expected to be the same although it is a challenge,” he said. Sony India had a turnover of Rs. 10,000 crores in 2014-15 and around 75 percent of its revenue came from Bravia range of TVs and Xperia range of mobile handsets. Sony India is the fourth highest contributor in the global sales of Sony Corporation. 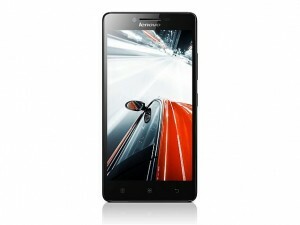 After getting a good response in the various flash sales, Lenovo A6000 Plus has now got a price cut. The smartphone will now be available at the discounted price of Rs 6999. Lenovo A 6000 Plus was first launched in India in May this year and has been selling via the flash sale model at a price of Rs 7499. Lenovo has made the announcement about the price cut via its Facebook page. However, one is unsure if the price cut is permanent or the company will reverse to the original price in the coming days. The company also announced an open sale of the device from June 22 to June 24, with its e-commerce partner Flipkart. Let’s take a quick look at the specifications of the Lenovo A6000 Plus. The smartphone packs a 12.7cm (5-inch) 1280 x 720 HD display and a 1.2GHz Snapdragon 410 quad-core processor. It has 2GB RAM, 16GB of internal storage, expandable upto 32GB via microSD card. On the imaging front, it has an 8MP rear camera, 2MP front camera, and is fitted with a 2300mAh battery. It runs on Android 4.4.4 KitKat and comes with 4G LTE connectivity. It also runs on the Lenovo Vibe 2.0 UI. wearable, Apple Watch. Apple Watch, after being launched in one of the most competitive markets of the world, South Korea, received great response from the customers. This posed a great challenge in front of the home-grown brands including LG and Samsung. Even the concerns for an MERS outbreak and onset of rains could not stop eager Apple Watch fans form queues outside the retail stores selling the wearable device. A 40-year old man, who had camped outside the shop and was the first man in the queue said that he was very happy to buy the smartwatch. He purchased the watch for 1,239,000 won (US$ 1117.) The Cupertino-giant has launched three models of its smartwatch in the country, starting from 679,000 won to 1,359,000 won. However, the Apple Watch Sport is priced between 439,000 won and 499,000 won, whereas the luxury edition of Apple Watch can be purchased between 13,000,000 and 22,000,000 won. Apple Watch has so far been launched in six nations in the second phase (of launch) apart from the first launch in nine nations. Apple has reportedly sold about 2.8 million smartwatches since June. Kaspersky Lab, along with its National Distributor for Enterprise products, eCaps Computers and partner Alliance Pro IT, successfully concluded an Enterprise End-customer event last week in Hyderabad, Telangana, to explore business opportunities in one of the leading IT Hubs of the country. The Customer Pitstop was attended by over 25 companies from across Telangana, where Kaspersky Lab along with eCaps Computers, and partner Alliance Pro IT detailed out their enterprise product suite to address the Customer’s security concerns such as Patch Management for OS & 3rd party applications, Application start-up control, security for virtual infrastructure etc. 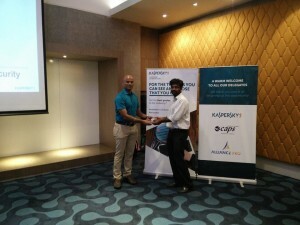 In this Customer Pitstop, Kaspersky Lab took an initiative to educate its enterprise customers on the current security challenges faced by corporates in India, and advocated the need for IT managers to have a single management console to manage multiple threats from within and from outside the organization. Kaspersky Lab has expanded its Enterprise Solution Portfolio spanning protection for Endpoint Security, Mobile Security, Solution for Data Centers, Industrial Security, Anti-APT, Fraud Prevention, Security Intelligence, DDOS Protection and Virtualization Security. HTC is all set to introduce One ME dual-sim smartphone in India. Priced at Rs 40,500, the handset is expected to be available by the end of this month. The much-anticipated phone had already been launched in China, earlier this month. The device sports a 13.2cm (5.2-inch) QHD display with a resolution of 1440 x 2560pixels. Powered by 2.2 GHz octa-core MediaTek Helios X10 processor, the phone offers 3GB RAM and 32GB ROM which can be further expanded up to 2TB via microSD. Backed by a 2840mAh battery, the handset comes embedded with Sense UI software. It features a 20MP rear camera with LED flash along with a 4-ultra pixel secondary camera. Its connectivity options include 2G, 3G, 4G LTE, Wi-Fi, Bluetooth v 4.1, NFC and micro-USB. 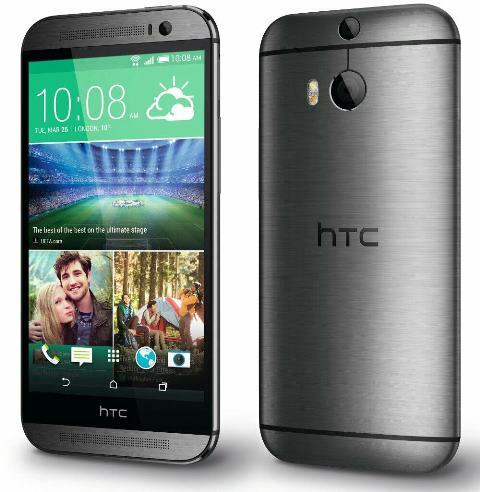 The HTC One ME is expected to be available in Meteor Grey and Rose Gold. A new accessory strap band for the Apple Watch seems to solve one of the most popular concerns of the device – its battery life. Reverse Strap has revealed its accessory strap band that claims over 30 hours of additional battery life. 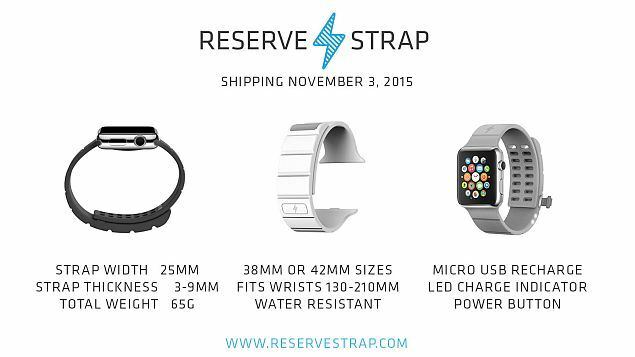 Confirming the design features and final technical specifications of its accessory strap band, which had been teased earlier this year, Reserve Strap has announced a shipping date of November 3. The company however points out that only those who pre-order will be guaranteed a Reserve Strap by the said date. Interestingly, Reserve Strap promises free express shipping for all US orders while confirming it can ship elsewhere globally at a flat rate of $20. There have been numerous concerns about the battery life of the Apple Watch since its unveiling last year, though people have come to accept that it will offer no more than a day however. Those looking for more battery life can either look elsewhere, or reach out to one of these battery-extending accessories. As we mentioned earlier, Reserve Strap has been teasing its charging strap for a while, but its earliest iterations were based on Apple’s own magnetic, inductive charging. However, those plans changed when a 6-pin diagnostic port was discovered that could be used for wired charging. This changed Reverse Strap’s design to a conductive one – it turned out to be a great decision because by May, Apple had said accessory makers cannot include magnetic chargers in their bands. In May, Apple had revealed ‘Made for Watch’ third-party bands programme for the Apple Watch. The Made for Apple Watch programme specified the requirements for certification of third-party bands by Apple, and included both design guidelines and Apple Watch schematics to assist the accessory makers. Interestingly, the guidelines made no mention of the diagnostic port that can be used to deliver power to the Apple Watch at a faster rate than even the wireless charging hub on the smartwatch. Some of the highlights of the Reverse Strap accessory strap band are it can charge the Apple Watch on the wrist using embedded batteries; uses Micro-USB to charge both the Reserve Strap and Apple Watch at the same time; is resistant to water like the Apple Watch, and fully complies with Apple’s Band Design Guidelines for the Apple Watch. Reverse Strap is made of specialised thermoset elastomer silicone band and packs embedded lithium-polymer cells. It comes with LED charge status indicator and fits with wrist sizes from 130mm to 210mm. It will be available in White, Grey, and Black colours for both the 38mm and 42mm Apple Watch. Users will also be given a special tool to be able to access the diagnostic port. “It is the first and only band that charges Apple Watch while you wear it. We’ve been blown away by the interest and support we’ve gotten from the Apple Watch enthusiasts all over the world since we announced this concept. We’ve been hard at work creating a product that will allow you to get maximum utility and performance from your Apple Watch,” the company said in a blog post. BENGALURU/MUMBAI: Foxconn plans to partner with the Adani Group to set up at least four electronics manufacturing facilities in India, sources told TOI. Top executives of Foxconn, the Taiwanese company best known for making Apple devices, are said to have visited Karnataka, Maharashtra, Andhra Pradesh and Gujarat earlier this month to look at possible locations for the facilities. Sources in the Karnataka government told TOI that Vincent Tong Wen-Hsin, chairman and director of investments at FIH (Foxconn International Holdings) Mobile, and Calvin Chih, CEO of the company, had detailed discussions with the government on the matter. “It could become a $5-billion investment. They visited some other states too. We are hoping that Karnataka’s talent pool and fiscal incentives would make them decide to locate a facility here,” a government official, who did not want to be named, said. When contacted, Pranav Adani, director in Adani Enterprises — the flagship company of the Adani Group — and nephew of Adani Group founder Gautam Adani, told TOI he had no comments to offer. The Ahmedabad-based group is a multinational conglomerate with interests in commodities, logistics, agri-business and energy. In May, Foxconn group chairman Terry Gou told news agency Reuters that the group was looking at developing 10-12 facilities in India, including factories and data centres by 2020. “A lot of our customers, especially Chinese customers, need us to manufacture … in India, to make phones, tablets, TVs, as soon as possible,” Gou had said. A Karnataka government official said, “We are talking to Foxconn almost every week to get them to Karnataka. Under our mega projects policy, we can tailor-make incentives for them.” Foxconn has already begun work on a small facility in Sri City in Andhra Pradesh that is expected to make about 10,000 phones a day, largely for Chinese brand Xiaomi. In China, Foxconn makes phones for a number of global brands, including Apple, Motorola, Huawei, BlackBerry, and Sony. The company is keen to manufacture in India for Indian and global brands. Foxconn had established assembly lines for phones in Sriperumbudur in Tamil Nadu in 2010. But a combination of poor industrial relations and lack of political support forced Foxconn to shut the facility. It appears to be putting that chapter well behind it. 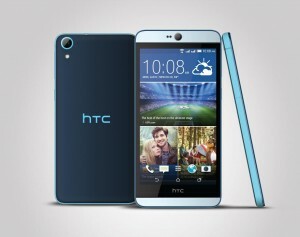 HTC has launched a dual SIM variant of its Desire 826 smartphone in India. Priced at Rs. 26,900, the handset is all set to compete against devices like Huawei Honor 6 Plus and 32GB Google Nexus 5. Apparently, the single SIM variant of the phone was launched almost two months ago. The device sports a 14cm (5.5-inch) Full HD Super LCD3 screen. Powered by the 64-bit octa-core Snapdragon 615 processor, the phone offers 2GB RAM and 16GB ROM which can be further expanded up to 128GB via microSD. Backed by a 2600mAh battery, the handset comes embedded with Sense UI software. HTC Desire 826 Dual SIM runs on the Android 5.0 and features a 13MP rear camera with LED flash along with a 4MP front facing camera. Its connectivity options include 2G, 3G, 4G, Wi-Fi, . The new variant of Desire 826 is likely to come with Dolby Audio technology. QNAP Systems, Inc. released Qsirch, an exclusive and powerful full-text search tool that simplifies and quickens searching for files on a QNAP NAS. Users can quickly search through their entire file collection for specific items, including using keywords within content, to improve their productivity both at home and in the workplace. 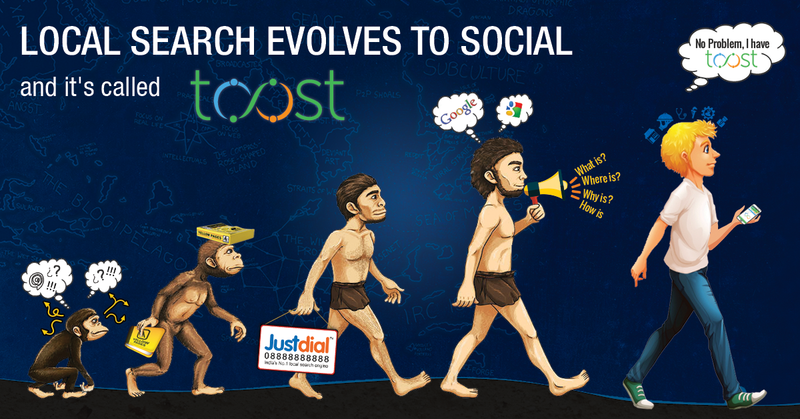 Qsirch has a near real-time search engine and features search-while-typing to dramatically increase search speed. Users can also choose categories including images, videos, music, documents and PDF to narrow down search results. Qsirch supports file search by content, filename, metadata, date modified, and displays the search results with thumbnails, content abstract and hint keywords for users to preview necessary information before opening the file. 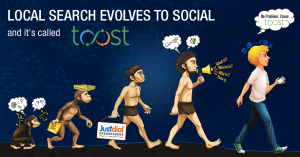 Moreover, Qsirch will retain search results for automatically learning user queries to speed up future searches and even supports searching through these histories. Qsirch performs alongside QTS permission settings, only showing files authorized for each user. Administrators can also flexibly exclude shared folders from Qsirch search whenever needed to ensure data security, or exclude backup folders to focus the searching power on new files instead of redundant files. PNY Technologies® Inc. (“PNY”) world renowned manufacturer of USB and Memory products announced the release of the new and compact HP v160. 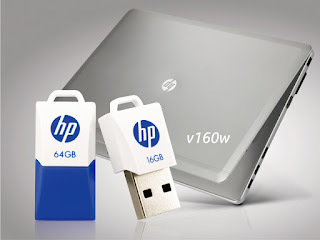 The HP v160 offers a convenient way to store, share and transfer all your digital media, files like photos, videos, music and more. The v160 comes in a secure plastic casing with classic blue and white pattern. The rectangular structure and easy grip makes it convenient to plug into the USB port with no hassle. The HP v160 is designed with a protective cap to protect your files from any external damage. For additional protection the drive is resilient towards dust and water, which allows you to use the drive during all types of projects. The drive features a strap hole located at the head of the top of the drive to enhance mobility. Mobile straps can be used to create a stylish accessory or you can simply attach it to your Key chains, backpacks or wallets. The HP v160 measures 10 mm x W 16mm x L 35mm (HWL) and weighs only 4.3fram, so it will be easy slip into your pocket. Although this drive is petite, USB 2.0 specification allows it to perform high speed transfers of files in seconds. You can store dozens to hundreds of files on this tiny drive with storage capabilities ranging from 8GB to 64GB. It works smoothly with Windows 2000/XP/Vista/Windows 7, 8, Mac OS: 10.3 and above operating system. PNY promised limited warranty of 2 years within the date of purchase. 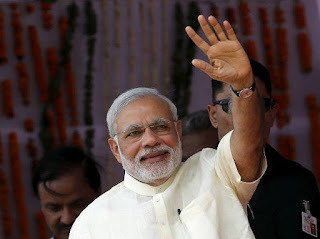 Prime Minister Narendra Modi will on July 1 launch the ambitious ‘Digital India’ programme with top industry leaders like Mukesh Ambani, Satya Nadella, Cyrus Mistry and Azim Premji in attendance. While Modi will present the government’s roadmap for digitising India, four industry leaders will make brief remarks on their idea of taking digital revolution to the masses. Microsoft CEO Satya Nadella, RIL Chairman and Managing Director Mukesh Ambani, whose company Reliance Jio Infocomm is scheduled to launch 4G services by December, Tata Group chairman Cyrus Mistry and Wipro Chairman Azim Premji will make presentations on the occasion, sources said. Other corporate leaders who are likely to attend the event include Bharti Group chairman Sunil Mittal and Adani Group chairman Gautam Adani among others. The sources, though added that confirmation is not received yet from all the invitees. The source said with the launch of this programme, the government is taking a big step forward to transform the country into a digitally empowered nation. The Prime Minister is expected to launch the logo of the programme and also unveil various schemes like Digital Locker, e-eduction and e-health, the source added. The government had last year approved the Digital India programme comprising various projects worth over Rs. 1,00,000 crores to transform the country into a digitally empowered knowledge economy. Jaipur, June 26, 2015: Vodafone India, one of India’s leading telecommunications service providers, has undertaken a unique initiative to connect with their retailers and customers in Rajasthan Circle. Over 500 Vodafone Retail outlets in Rajasthan have been given a customized, Marwar look and feel, as part of Vodafone’s effort to reward high performing retailers and simultaneously infuse a sense of identity with the local populace. In a first-of-its-kind exercise in Rajasthan, over 500 Retail outlets have been branded by Vodafone with custom made cut outs of the Retailer dressed in Pagdi and Dhoti. Alongside, each outlet will also highlight Vodafone’s special offer of the month. BlackBerry may design a bacteria-free smartphone as it bids to become the secure mobile choice for the health-care industry, CEO John Chen said. “Health-care workers have to be worried about one less thing to wipe down” with a bacteria-free handset, Chen told reporters at a hospital north of Toronto where BlackBerry unveiled a clinical alerts pilot project. Chen said BlackBerry is not developing the clean phone yet. The Canadian mobile manufacturer is partnering with ThoughtWire and Cisco Systems Inc to provide nurses and doctors in a Mackenzie Richmond Hill Hospital unit with a portable messaging and alert system. BlackBerry will be providing the software and devices. It wouldn’t disclose how much it’s spending on the project. Transfer of infections and bacteria between patients in hospitals is a “huge issue,” said Dr. Aviv Gladman, chief medical information officer at Mackenzie Health. Medical equipment in patient rooms, including mobile phones, can carry bacteria through the hospital, he said. Hospitals don’t know how effective alcohol wipes are at removing bacteria from phones and medical professionals don’t always wipe, he said. Gladman said hospital-acquired infections are one of the top reasons patients die in hospital. BlackBerry, based in Waterloo, Ontario, has switched its focus to high-security software as it has struggled to compete with Apple Inc. and Samsung Electronics Co Ltd as a device manufacturer. Swedish telecom equipment maker Ericsson has appointed Paolo Colella as India Head with effect from September 1. Colella, who assumes his new role effective September 1, has been responsible for Ericsson’s consulting and systems integration practice globally for around six years. Prior to this, he worked as executive VP sales and marketing at Ericsson United Kingdom. He joined Ericsson in 2001 as vice president — Global Services at Ericsson Italia and since then has held different positions within sales and marketing, services and key account management. Asus on Thursday launched its ROG GL552 gaming laptop in India, at a price tag of Rs. 70,999. The high-end laptop is available in Black+Gray colour variant to purchase from leading e-commerce websites. The Windows 8.1-based ROG GL552 features a 15.6-inch full-HD (1920×1080 pixels) resolution IPS backlit display with an aspect ratio of 16:9, and a 178-degree viewing angle. It is powered by a fourth-generation Intel Core i7-4720HQ processor (4 cores, 8 threads, 2.6GHz base clock, 3.6GHz Turbo) with 8GB of 1600MHz DDR3 RAM(upgradable) and Nvidia GeForce GTX 950M (N16P-GT) for handling graphic intensive games and applications. Intel HD Graphics 4600 also comes integrated inside the laptop. Besides an HD webcam, the AsusROG GL552 houses a 1TB (7200RPM) SATA 2.5-inchHDD and an optical drive. In the connectivity section, the gaming laptop includes aRJ45 Ethernet jack, a headphone and mic combo jack, a VGA port (D-Sub), three USB3.0 ports, Bluetooth 4.0, Wi-Fi 802.11b/g/n, and one HDMI port. A SD card reader alongside a built-in speaker and microphone is also included. It weighs 2.6kgs, and measures 382×255×16-32.6mm. It runs on a 48WHr 4-cell Li-ion battery. Some of the other features bundled with the Asus ROG GL552 gaming laptop are SonicMaster and AudioWizard-powered audio, and easy-touch low profile keys including a highlighted WASD key group. It also comes bundled with a gaming headset, mouse, and carry bag. “We are extremely elated to announce gaming without limits with the launch of ROG GL552. Backed by high strength, it takes design aesthetics a notch higher with F22stealth fighter-inspired design that commands the game. It brings the best of Intel and Microsoft integrated into the device to endow it with maximum gaming capabilities,” said Peter Chang, Regional Head, South Asia & Country Manager, System Business Group, Asus India during the launch. Asus has recently introduced a new gaming laptop in India. 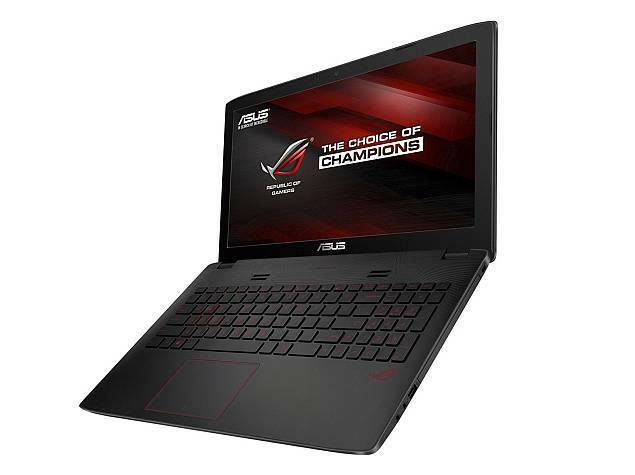 Named as Asus ROG GL552, the notebook is released under Asus gaming brand Republic of Gamers. Priced at Rs. 70,999, the device has especially been designed to give a smooth gaming experience to its users. The Asus ROG GL552 laptop sports a 39.62cm (15.6-inch) Full HD IPS panel with a resolution of 1920 x 1080 pixels. With a built-in HD webcam, the device offers 178 degree viewing angle and back-lit LED display. Equipped with the NVIDIA GeForce GTX 950M with DirectX 12 support and the Intel HD Graphics 4600 IGPU, the notebook features high-quality graphics. Powered by quad-core Intel Core i7 processor, Asus ROG GL552 comes with Mobile Intel HM86 chipset and GameFirst III Technology. It comes with an in-built memory of 8GB DDR 1600 with a replaceable M.2 SSD, memory slots and hard drive. The keyboard also has a unique design, illuminated by a red backlight. 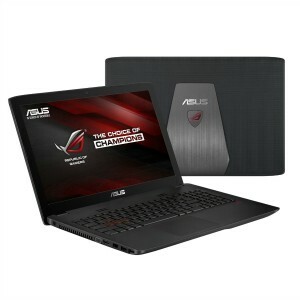 The ROG GL552 which runs on Windows 8.1 Operating System, would apparently be available on various online shopping portals. The Sony Xperia Z3+ is identical to the Japan-only Sony Xperia Z4 that was launchedback in April, and is the global variant of the smartphone with a launch in late-May. The smartphone is a minor upgrade from the Xperia Z3, and apart from being slimmer and lighter, also sports the new Qualcomm Snapdragon 810 SoC. The Android 5.0 Lollipop-based Sony Xperia Z3+ features a 5.2-inch full-HD (1080×1920 pixels) Triluminos display that is powered by the X-Reality mobile picture engine. 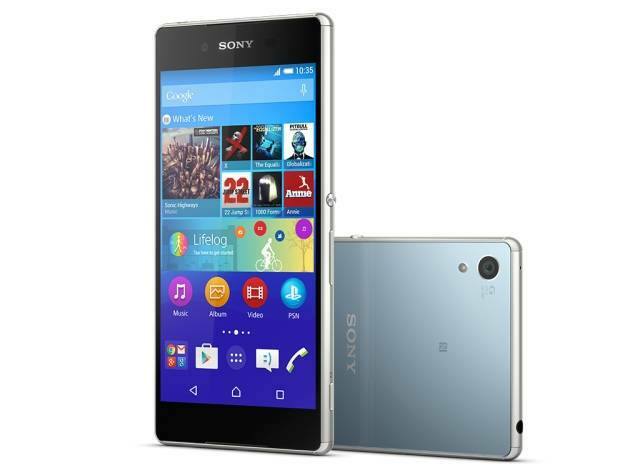 The Xperia Z3+ from Sony also retains the 20.7-megapixel autofocus rear camera of its predecessor. The rear camera however now features 1/2.3-inch Exmor RS BSI sensor, Bionz image processor, and a pulsed LED flash. The Sony Xperia Z3+ sports a 5-megapixel front-facing camera with Exmor R BSI sensor, which is an upgrade from Xperia Z3’s 2.2-megapixel front camera. It also features a 25mm wide-angle lens, apart from electronic image stabilisation. Oppo has recently introduced a pocket friendly handset named Joy 3 through its website. The mid-range device sports an 11.43cm (4.5-inch) FWVGA IPS with a resolution of 854 × 480 pixels. Powered by 1.3 GHz quad-core MediaTek MT6582 processor with Mali-400 MP2 GPU, the phone offers 1GB RAM and 4GB ROM which can be further expanded up to 32B via microSD. Backed by a 2000mAh battery, the handset weighs around 135grams. It runs on 4.4 KitKat along with ColorOS 2.0. The handset features a 5MP rear camera with LED flash along with a 2MP front facing camera. Its connectivity options include 3G HSPA+, Wi-Fi 802.11 b/g/n, Bluetooth 4.0, GPS. Though the price of the much-anticipated device is still under the wraps, the smartphone is expected to be available in Classic White and Matte Grey.The firm had recently released Neo 5 featuring an 11.43cm (4.5-inch) with the same resolution and processor. 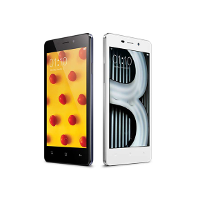 However, the device features storage space of 8GB along with an 8MP rear camera. Trend Micro is a company with a simple, yet ambitious goal, to protect their users from cybercriminal activity. Everyday, thousands of people browsing the internet are in danger of being digitally assaulted. While there is no way to be one hundred percent safe from malware attacks; there are certainly, numerous ways to avoid them. The first step to being safe, is to be informed, for which Trend Micro has launched its first quarterly Security Roundup. In this report, the most present threats up to this month are explicitly detailed and advice is given to both companies and customers on how to avoid said malware threats. “Cyber threats are exponentially growing with every passing second, and Trend Micro in the hopes to better inform and prevent cyber attacks, has released in its first quarterly security roundup of the year, the main security risks that users have faced since the beginning of the year. This first quarter’s threats range from the exploits that Adobe Flash faced back in February, to applications ridden with Adware in Google Play, to point-of-sale malware attacks in retail stores,” said Dhanya Thakkar, Managing Director, APAC, Trend Micro. In only three months, there have been some serious incidents that have put the user’s information and security at risk. Trend Micro states that the people behind malware, will “not hesitate to take advantage of even the slightest security loophole to get what they want”, and in today’s digitalized world, there should not be any room for this kind of errors. Malvertisements are not in any way new, in fact, many internet users have already become accustomed to them. Trend Micro, in this round-up report has revealed that how a business model based on web advertising is, and always will be putting the user at risk; this is because site owners cannot control the ads that are being seen by users. A major company was recently the target of this zero-day exploit, in which malvertising was sent out through Adobe software, so victims of this kind of attacks were no longer required to visit a specific website to infect their computers. In the first quarter of 2015, Adobe suffered from three different exploits that targeted each new release of Adobe Flash; in total, over 10,000 computers were infected with BEDEP malware. All the issues were quickly addressed by Trend Micro’s Deep Security Rule and removed traces of the malvertisement found in Adobe Flash. But, not only computers were targeted by these malicious attacks based on advertising, mobile devices were also affected. Adware was also found on several apps inside Google Play, these apps all used MDash software development kit; this made harmful apps present on all mobile devices that had any of these apps installed. According to the report, millions of devices were infected before Google took responsibility and removed over 2,000 malicious apps. Crypto-ransomware is another kind of malware that was greatly present during the year’s first quarter. The goal of this type of malware is to hold the user’s computer “hostage” and restrict all access to it, until a ransom has been paid. Crypto-ransomware, not only targets the average consumer, it also takes aim at companies and their interactions, meaning that anyone that shared a link with the already infected computer, now has possibly became ill with crypto-ransomware. In order to avoid Crypto-ransomware, users can download and install specialized software that can stop a crypto-ransomware attack before it lock down your computer. It is uncertain the amount of malware that is released each month or quarters, as it is evolving at a similar pace. After Singapore-based on-demand internet video provider Hooq launched operations here, the pioneer of internet TV, US-based Netflix, has firmed up plans to enter India by 2016, according to people familiar with the matter. This has sent domestic DTH players into a tizzy with some of the major ones chalking out strategies to diversify beyond television. On the cards are iconic shows including Buniyaad, Nukkad and Malgudi Days on various mobile devices across iOS and Android. “It’s similar to Starbucks entering India. Everybody knew about it but cafe brands were late to react and Starbucks came and stole the show. We don’t want to be caught on the wrong foot,” a Tata Sky spokesperson told TOI. Netflix is one of the leading on-demand internet streaming media companies in the world with around 62 million subscribers. More than 40 million of those users are in the US, a market which has become crowded with HBO Now, Sling TV and Sony entering the content streaming segment. Even Hooq, which lets a user stream and download movies and TV shows in India for Rs 199 per month, is a joint venture between SingTel, Warner Bros and Sony Pictures Television. With 4G about to become a nationwide reality soon, it’s no surprise that Netflix wants to enter the market, which is leading the world in mobile internet user growth. According to a recent report by one of Silicon Valley’s leading VC firms Kleiner Perkins, India leads the world’s internet user growth across all platforms. “We have said we plan to be nearly global by the end of 2016. We have nothing else to share at this point,” a Netflix spokesperson said in an e-mail, while replying to a questionnaire sent by TOI. A Tata Sky spokesperson said that the Mumbai-based company is in talks with various content providers. Content could be in the form of television shows or movies that would be made available across iOS and Android platforms for a fee. “It could also be your smart TV,” she said. Netflix and HBO have already demonstrated scalable business models. But, a lot will depend on content as well as technology. Current streaming costs might limit their potential,” said Salil Kapoor, COO at Dish TV, one of India’s largest DTH players. ASUS recently completed fun-filled trip to the wet and wild Adlabs Aquamagica on Sunday, 21st June for over 100 top partners and their family members. The event organized was ASUS’s way of appreciating the stupendous efforts conducted by our top partners in Mumbai and growing with the ASUS family. Adlabs Aquamagica is one of the biggest water parks in the country and home to some thrilling rides like the Loopy Woopy, where the rider plummets through a 39 foot vertical free-fall drop followed by a 360-degree looping slide! This was a perfect time and weather to unwind and it also helped facilitate a better bonding experience between the partners and ASUS management team who were accompanying them. ASUS was happy to successfully conclude yet another exciting trip for the top partners in Mumbai and are looking forward to expanding the family further in the years to come. India – 25 June, 2015 – Juniper Networks (NYSE: JNPR), the leader in network innovation, today expanded its Converged Supercore® architecture with the introduction of the PTX1000, the industry’s most compact 3 Tbps fixed configuration core router. The new two-rack unit (RU) router leverages Juniper’s recently announced ExpressPlus™ chipset for performance and efficiency gains while also giving service providers a platform that is right-sized to support the evolving needs of distributed peering in order to speed access to cloud services on the network. Insatiable consumer and business customer demand for always-on, always-available services, including enterprise applications, unified communications and other bandwidth-intensive activities, such as streaming video, has led telecom service and cloud-content providers to rethink how they architect networks for efficient service and content delivery. While some providers consolidate their peering points to a limited number of network locations, today’s announcement gives customers the option to deploy a distributed peering architecture. Distributing peering sites across the network for access to cloud services improves the user experience by decreasing application response time and increasing reliability via fixed and mobile access. With the rise of machine-to-machine traffic and the advent of virtualized services becoming more distributed throughout the network, the need for increased IP/MPLS performance while maintaining cost control is in great demand. The PTX1000, like the PTX3000 and PTX5000 core routers, leverages Juniper’s ExpressPlus custom silicon for IP/MPLS performance applications. The 28-nanometer chip can drive 5x100G interfaces and leverages 3D memory architecture, which reduces power consumption and space requirements. In addition, the PTX1000 features flexible port interface options to maximize investment protection and ensure smooth upgrade cycles. With today’s announcement, Juniper is building on its heritage of revolutionizing routing fundamentals by giving service providers new ways of extending scale and performance, while optimizing capital expenditures. The PTX1000 router will be available either directly from Juniper Networks or through its global network of reseller partners in Q3 2015. At the Western Digital (WD) Executive Summit held at Hamburg Germany. WD awarded Iris Computers, India’s leading IT Distribution Company, a now a part of the Singapore based InflexionPoint, as “ The Number 1 – Distributor in India “Iris has racked a whopping 184% YoY increase in sales thru WD’s product range comprising – Desktop Drives, Mobile Drives, Surveillance Drives, Enterprise Drives and External Hard Drives.This also makes – Iris is the largest contributor to WD’s business in India. ‘Iris has acquired and immense trust with WD, its young aggressive and focused team has the right positive energy to takea great product to the top,” says Khwaja Saifuddin, Director Sales – Middle East ,Africa , Turkey & South Asia, Western Digital . 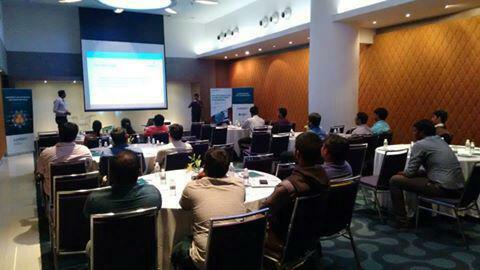 “We are extremely happy with our association with WD” exclaims Niraj Chauhan, Director InflextionPoint. “ We at Iris have always been aggressive on Lenovo, our team are always at their toes achieve and go over the edge “ says Sameer Choudhary, VP, Iris Computers Ltd.
Iris Computers, India’s leading IT distribution company, a part of Singapore based InflexionPoint have been Dell’s National Distributor for B2B business for more than 7 years and last year joined hands for Commercial Stock and Sell distribution of both EUC and ESG (Desktop and Laptops for Enterprises and Server range). In the year 2014 – 15, the Iris-Dell’s business whooped 90 % YoY jump hitting and all time high in overall commercial business.“Iris have been having a remarkable relationship with Dell since the last seven years and this has helped us to do excellent business that grew each year “ says Vishal Sopory, CEO Iris Computers.